Four picks made the list. After spending 20 hours researching more than 50 blood pressure monitors, interviewing medical professionals, and testing 10 finalists with a group of nursing professors and students at the University of Texas Nursing School, we can say the best blood pressure monitor for most people to use at home is the Omron Series 10 with Bluetooth. Not everyone needs a blood pressure monitor, but those with high blood pressure (a third of Americans) or concerns about it will find a blood pressure monitor is a relatively inexpensive investment in one's health. The most important element of a blood pressure monitor is its accuracy. This is determined by the blood pressure machine itself and by the size of the cuff. The conditions under which you measure your blood pressure—from time of day to body position—matter as well. The medical experts we consulted recommend using a monitor that does not deviate more than 10 mmHg of pressure from your doctor's reading. In addition to accurate readings, we looked for devices that can store data, so you can compare trends over time. We also appreciated monitors that could store readings for multiple people, average three blood pressure measurements over a short period (for greater accuracy), and send data to Apple's HealthKit or other another fitness tracking service. Based on these criteria, we found 10 promising blood pressure monitors and brought them to the University of Texas School of Nursing, where nine volunteers tried on all of the cuffs after getting a baseline reading on the school's equipment. 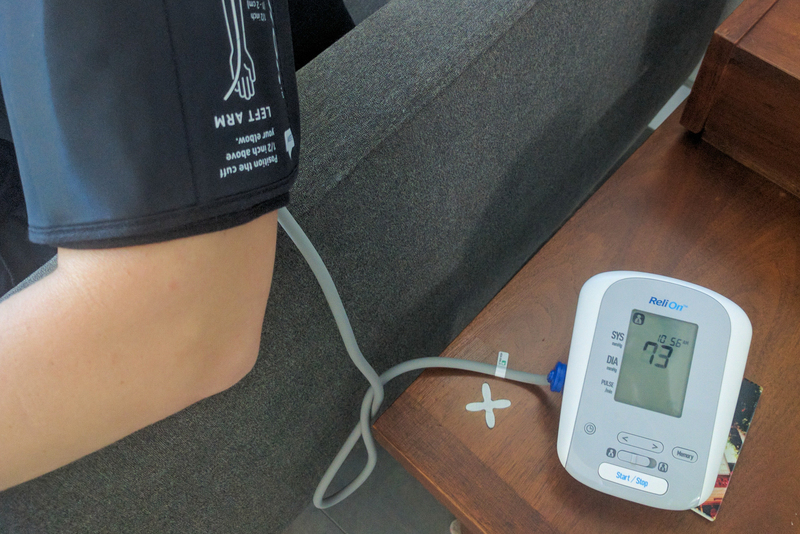 The goal was to get a variety of user impressions and to test the accuracy of the monitors against a professionally taken blood pressure on equipment you might find in a doctor's office or hospital setting. 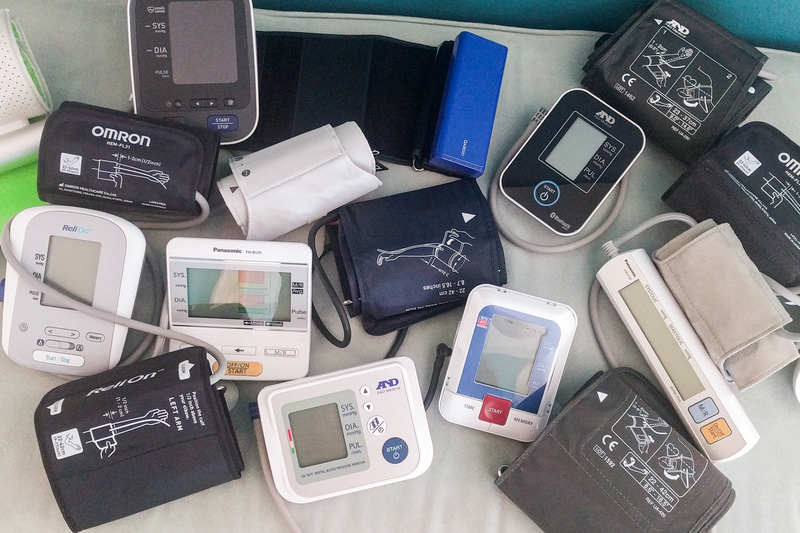 To read more about our testing process and how we settled on just 10 models, please see our full guide to blood pressure monitors. 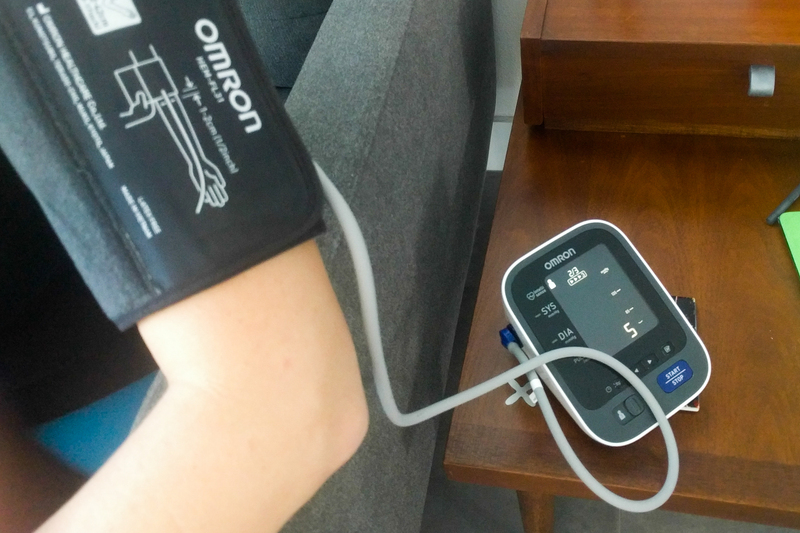 The Omron Series 10 with Bluetooth measured the most accurately in our tests, has the most comfortable cuff, and was the only monitor we tested with a backlit display. It offers the best balance of necessary and nice-to-have features that ensure accuracy of measurement and help users track trends in their health. In our tests, the Omron 10 provided seven out of the nine testers with results that fell within the 10 mmHg variation from the school's testing equipment that doctors recommend for home monitors, and brought all nine within 15 mmHg. 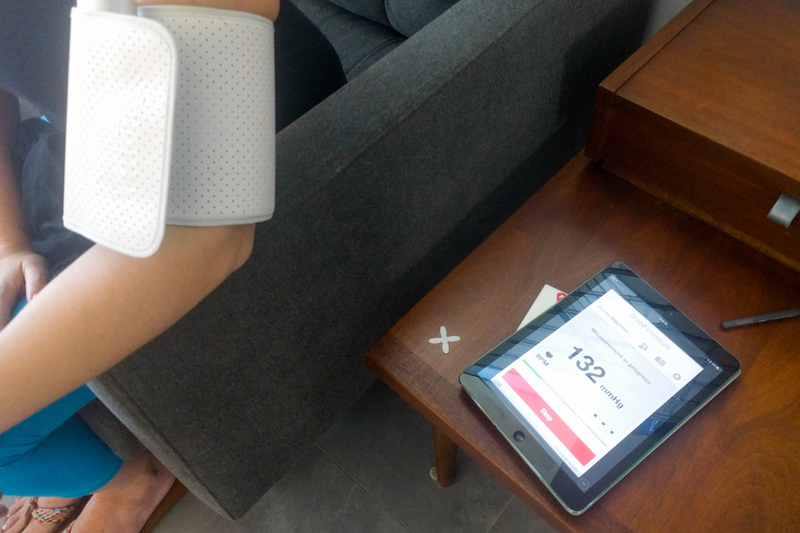 The cuff was comfortable and easy to put on, it has a feature that can detect irregular heart rates, and the process of taking blood pressure was quiet and fairly quick. We like that it can either send data to a smartphone app via Bluetooth or store up to 200 results on the monitor itself. 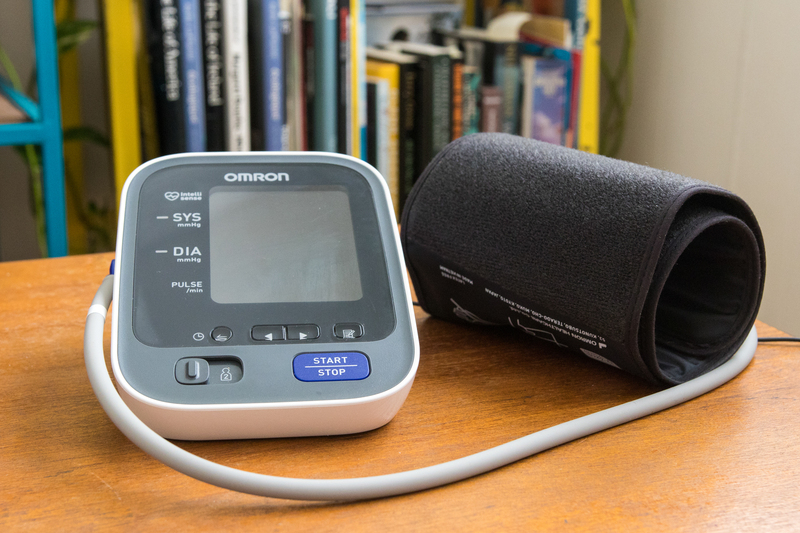 The ReliOn BP200 is a more basic blood pressure monitor than the Omron 10, lacking some features and leaving out Bluetooth, but it's affordable and simple enough for most people to use. It was not as accurate as our main pick for the testing group as a whole, but it did measure within the recommended 10 mmHg for two testers. It also has an irregular-heart-rate detection feature and has a screen that is easy to read (though it's not backlit). Instead of having a stiff plastic ring to place your arm through, the ReliOn's cuff is entirely flexible, which can make it tricky to tighten using one hand. And unlike our top pick, this monitor doesn't have a feature that automatically takes three readings in a row to average them. However, you can take three readings on your own within a 10-minute time frame, and it will then average them. 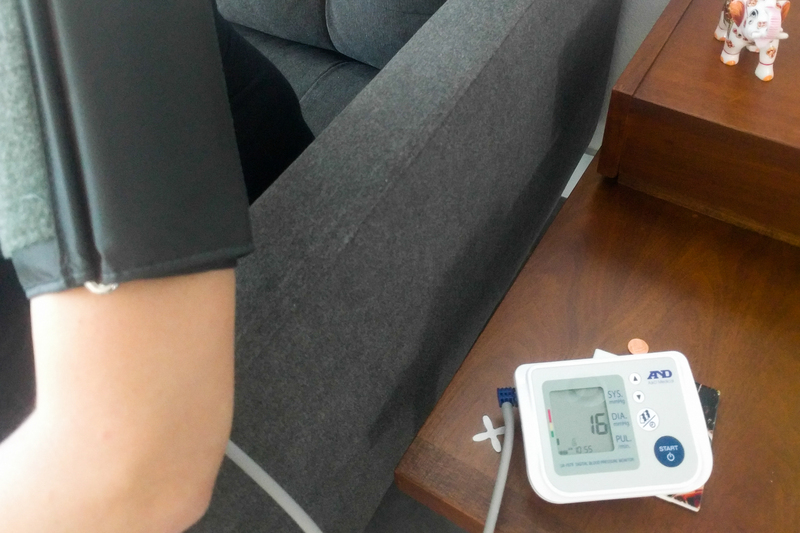 The A&D 767F is the only monitor we found with the ability to track four users, so if you have multiple people in the home who need to monitor their blood pressure, it's a good option. It can store up to 240 measurements, but its comfort and ease of use was polarizing among the testers. But for less than $40, it is accurate and comes with a nice case and easy-to-read display. Some testers, including myself, found the cuff to be tight and the inflation process extremely loud for day-to-day use. Others complained about the cuff overinflating or inflating too quickly and hurting their arm. However, how long the cuff takes to inflate and deflate depends in part on your blood pressure. There is an emerging class of devices that bypass the traditional monitor and use your smartphone instead. Based on our research and testing, we found these options to be overly expensive and not worth the cost. The only one that made it to our final round of testing was Nokia's BPM. This device consists of a metal bar, meant to be placed on the inner side of your arm, and an attached cuff. It's slightly awkward to wear, and will be a problem for anyone with low dexterity as the on-off button is tiny and tough to press. It's also inaccurate compared with our top pick: Only three out of the nine testers were in the recommend 10 mmHg range.